Even more set photos from Birds of Prey (and the Fantabulous Emancipation of One Harley Quinn) have made their way online including a better look at Rosie Perez’s Renee Montoya. In the photos, Montoya is chasing Margot Robbie’s Harley Quinn with her gun drawn. Meanwhile, it seems that Quinn was trying to eat a cheeseburger, which now she has to stuff down her shirt. Renee Montoya made her debut in Batman: The Animated Series as a detective from the Gotham City Police Department assigned to the Major Crimes Unit. Over the years she resigned from the police force, disgusted by its corruption. The upcoming DC movie isn’t the first time someone has portrayed Montoya, since she made her live-action debut on Gotham‘s first season played by Victoria Cartagena. Cathy Yan is directing Birds of Prey from a screenplay by Christina Hodson. 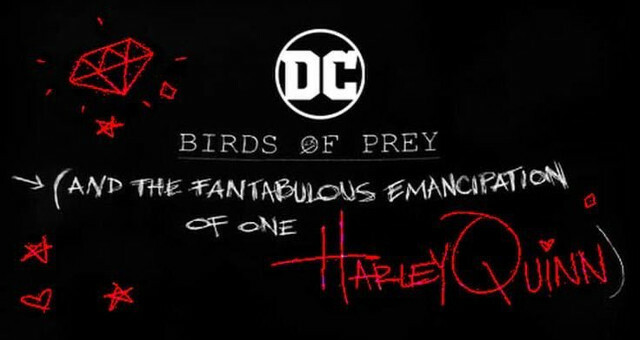 Birds Of Prey soars into theaters on February 7, 2020. How do you think Rosie Perez will fare as Renee Montoya? Check the set photos out, then let us know in the comment section below.